Tonight on ABC Juan Pablo Galavis continues his search for love on THE BACHELOR. On tonight’s show Juan Pablo gets closer to the remaining eight women in New Zealand, but the tension ramps up as relationships hang in the balance. Did you watch last week’s episode? We did and we recapped it right here for you. On last week’s episode breathtaking Vietnam was the romantic backdrop for Juan Pablo and the 11 remaining bachelorettes to continue their search for love. Renee was overjoyed when she was picked for a one-on-one date. Nine women boarded Vietnamese bamboo circle boats for the adventure of a lifetime, but jealousy and resentment reardc their ugly head when Juan Pablo appeardc to spend more time with one of the women than the rest. However, when he singlec out Clare for some extended alone time, he was asking for trouble. Nikki was traumatized when she discovered that she and the Bachelor must rappel down 100 feet into a dark cave named Hell. At one of the most dramatic cocktail parties of the season, the Bachelor tried to reassure some of the women with romantic gestures, but when he faced off with Clare, she was reduced to tears. Juan Pablo was left doubting some of the choices he was making, which led to a compelling and moving rose ceremony. Eight women remained at the end of the evening to accompany Juan Pablo on a thrilling journey to New Zealand. On tonight’s episode Love blooms in the lush island country of New Zealand as Juan Pablo’s adventure continues with the eight remaining women. Andi, desperate to get alone time with the Bachelor, claims the week’s first one-on-on date, but will she be able to let her guard down and allow their relationship to grow? A group date for six bachelorettes takes them on a wild ride on the Ogo – a New Zealand extreme sport that has the women zig zagging down a course in giant clear inflatable balls. After they catch their breath, the after party takes place on the set of the Academy Award-winning film “The Hobbit.” Clare is still trying to repair her relationship with Juan Pablo, but what will be the outcome? Finally, it is not just the Bachelor with decisions to make, which results in one of the most tension-filled rose ceremonies so far. Six women will move on to join the dashing Bachelor in his hometown of Miami as the women’s hometown dates loom. We will be live blogging The Bachelor 2014, Juan Pablo episode 5, so come back tonight at 8PM for our live recap of The Bachelor 2014 “Episode 6” While you wait for the recap, hit the comments and let us know if you are enjoying this season of The Bachelor? Episode 6 of The Bachelor opens with Juan Pablo and the remaining eight bachelorettes arriving in Lake Taupa, New Zealand, and checking into the lodge. Cassandra feels selfish checking into the resort, because she misses her son back home. Clare thinks New Zealand is a beautiful place, but after what happened in Vietnam she feels like there is a dark cloud over her trip. The first date card arrives, and it is for Andi, it says “let’s heat things up.” Andi is ecstatic, she is the only remaining bachelorette that hasn’t had a 1-on-1 date with Juan Pablo. Andi gets ready for her date with Juan Pablo. Andi and Juan Pablo meet up, and Juan Pablo leads Andi down to a river jet. They hop in and the driver starts speeding down the river. It begins raining, and the driver pulls over. He tells Andi it is time to get out of the boat. Andi and Juan Pablo wade through the river and begin wading through a narrow cave. Andi is scared because the water is freezing and they can barely fit through the tunnel. They finally get through the end of the tunnel, and Juan Pablo leads Andi through a jungle and into a natural hot springs waterfall. Juan Pablo and Andi stand under the hot springs waterfall and make out…for a really long time. Back at the resort the bachelorettes receive another date card. Sharleen, Chelsie, Renee, Nikki, Kat, and Cassandra are invited on a group date. Clare is ecstatic, since she isn’t going on the group date, then that means she will have a 1-on-1 date with Juan Pablo in New Zealand. Back at the geyser, Andi and Juan Pablo have abandoned their dinner date because one of the geysers erupted and soaked their food. After the date Juan Pablo surprises Andi with the date rose, and guarantees she will be around for another week. After their group date Juan Pablo takes Cassandra aside. Juan Pablo thinks that there isn’t a definite connection between them, so he decides to send her home. He doesn’t think it is fair to make her wait two days until the Rose Ceremony and miss out on time with her son. Cassandra has been officially eliminated from The Bachelor. The next day Juan Pablo and Clare head out on their 1-on-1 date, he takes her to a New Zealand beach. They discuss what happened in Vietnam, Juan Pablo confesses that he was mad at himself for making Clare cry last week. They talked through their differences, and Juan Pablo apologized for upsetting her in Vietnam. After Juan Pablo and Clare’s trip to the beach, Juan Pablo surprises her with a romantic dinner back at the resort. Juan Pablo asks Clare if he is “melting her heart.” Clare confesses that he has been “melting her heart.” Clare says that she likes “comfy dates.” So, Juan Pablo gives her a pair of sweat pants to wear while they relax on the couch. After Clare puts on her sweatpants, which look an awful lot like Hammer pants, Juan Pablo awards her with a rose. The seven bachelorettes arrive at the cocktail party, and are greeted by Juan Pablo. Juan Pablo takes Nikki aside for some alone time, and she confesses that she is nervous that she doesn’t have a rose. Nikki turns on all the charm during her alone time with Juan Pablo to ensure that she receives a rose at the Rose Ceremony. Renee sneaks off for some alone time with Juan Pablo next, she is nervous now that she is the only single Mom left in the house, since Cassandra left. 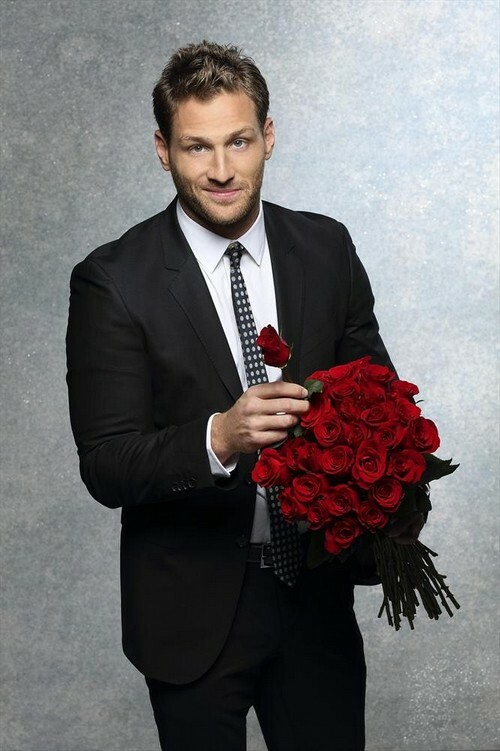 After some quality time with Chelsie and Kat, it is time for Juan Pablo to hand out the roses. Chelsie is sure that she is safe, and she thinks Kat may be the one to go home tonight. It’s time for the Rose Ceremony (Cassandra was already eliminated earlier in the episode). Sharleen, Andi, and Clare already have roses from their dates, so they are in the clear tonight. Juan Pablo passes out roses to Nikki, Renee, and Chelsie. Kat Hurd has been eliminated from Season 18 of The Bachelor. Guess What Plastic Surgery Paris Had?